They may be found in every ocean on Earth, but jellyfish are still some of the most mystifying creatures in the world. Often underestimated, these animals harbor some of nature's most innovative adaptive techniques - here are a few facts you may not know about jellyfish. The Turritopsis dohrnii is an infamous example of nature working magic. There are two main phases in the development of a jellyfish: the first being the stationary polyp stage where they are attached to the sea floor and the second being the mobile medusa stage. The immortal jellyfish, found in the Mediterranean and off the coast of Japan, is unique in that it is the only animal known to be able to revert back to its immature state after having reached maturity. This process can be triggered by environmental stress, old age, sickness or injury, and renders the T. dohrnii biologically immortal. They don't have brains or lungs. Instead, they rely on a system of nerve nets which sense changes in light, vibrations and chemicals in the water, coordinating the appropriate responses using this information and their innate sense of gravity. They don't need a respiratory system because their skin is thin enough that their bodies can be oxygenated by diffusion. They are mainly made up of water. 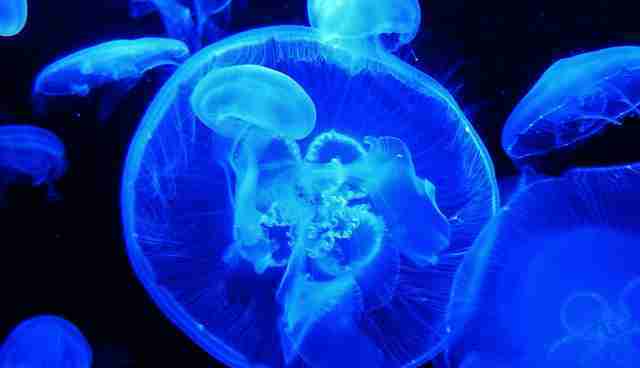 Jellyfish are 90 percent water! Most of their umbrella mass is a gelatinous material surrounded by two layers of cells holding it all together. They are invertebrates so they aren't weighed down by a skeleton. 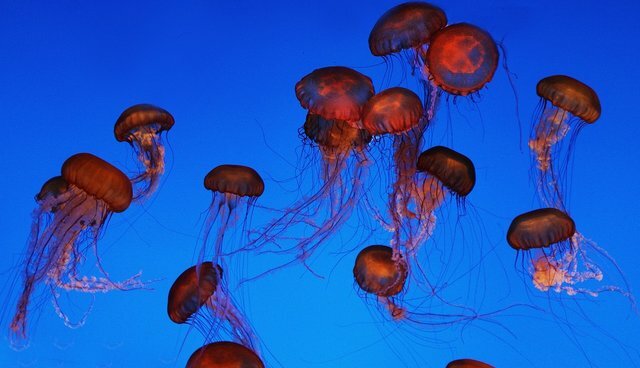 Jellyfish first appeared around 650 million years ago, and they have pretty much taken over the seas - they are found in every ocean, some are found in fresh water, from the surface to depths of 30,000 feet. Some are bigger than humans and some are smaller than a pinhead. The largest known species of jellyfish is the Arctic lion's mane jellyfish, which is one of the longest animals in existence. The largest recorded specimen of this species was found washed up in Massachusetts Bay in 1870 and had a body (bell) diameter of 7 feet 6 inches and tentacle length of 120 feet. 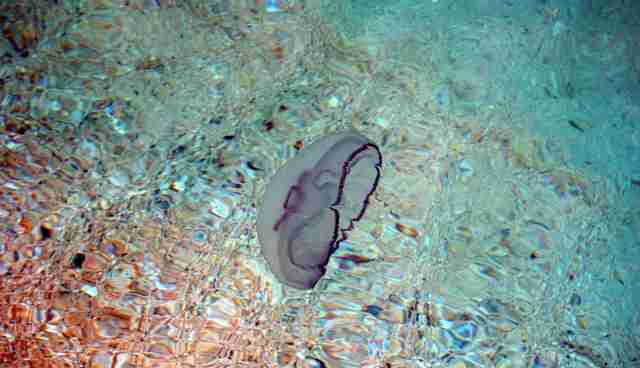 The smallest species is the creeping jellyfish which can have a bell diameter of just 0.5 millimeters (approx. .02 inches) ! 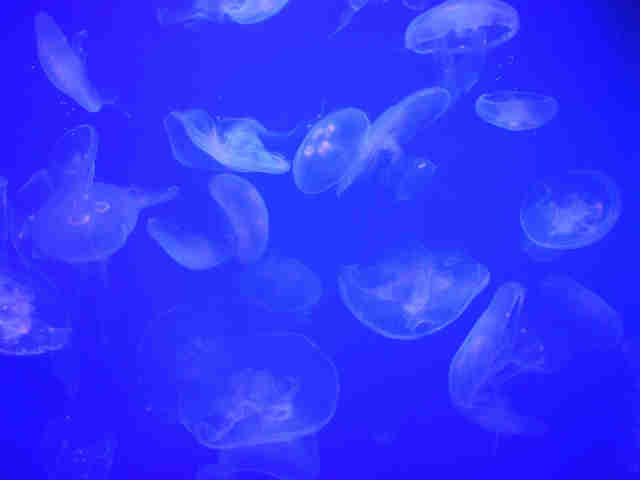 The venom from the tropical box jellyfish has caused at least 5.568 recorded deaths since 1954 and is the most deadly venom in the animal kingdom. Each of its tentacles has about 500,000 harpoon shaped needles which hook on to prey and inject it with the lethal toxin before consumption. Like worms, if a jellyfish is injured or chopped in half it can regenerate to create two separate organisms. 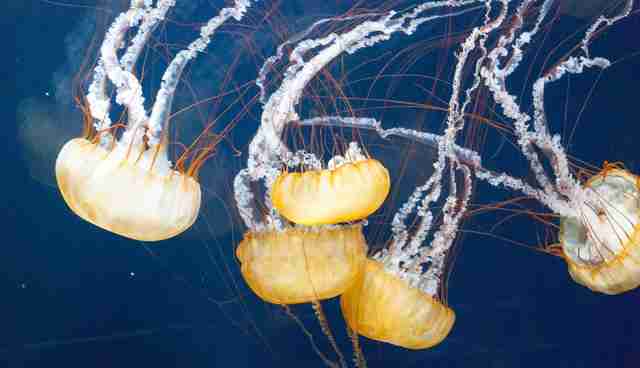 Some jellyfish also produce asexually, so can create hundreds of offspring with the same exact genetic makeup. Find out more about the wonders of marine life including jellyfish with one of Frontier's projects, where you can help collect data in the field and earn a PADI qualification in the process! By Eman Bhatti Frontier runs conservation, development, teaching and adventure travel projects in over 50 countries worldwide - so join us and explore the world!